The CYBEX LCX-425T treadmill is a commercial-sized running surface in a space saving footprint. The combination of rugged rollers and a powerful motor gives a solid feel that is usually available only in the most expensive commerical models. Lots of convenience features make the LCX-425T the perfect choice for hotels and spas, as well as for exercise enthusiasts who want to have science that captures the art of running in their own home. LIGHT COMMERCIAL The LCX-425T is a treadmill that provides runners and walkers with all of the comfort, security and features they demand while offering an amazingly small footprint and a surprisingly large running surface. Perfect for the upscale home and residential condominium but durable enough for the hotel gym. 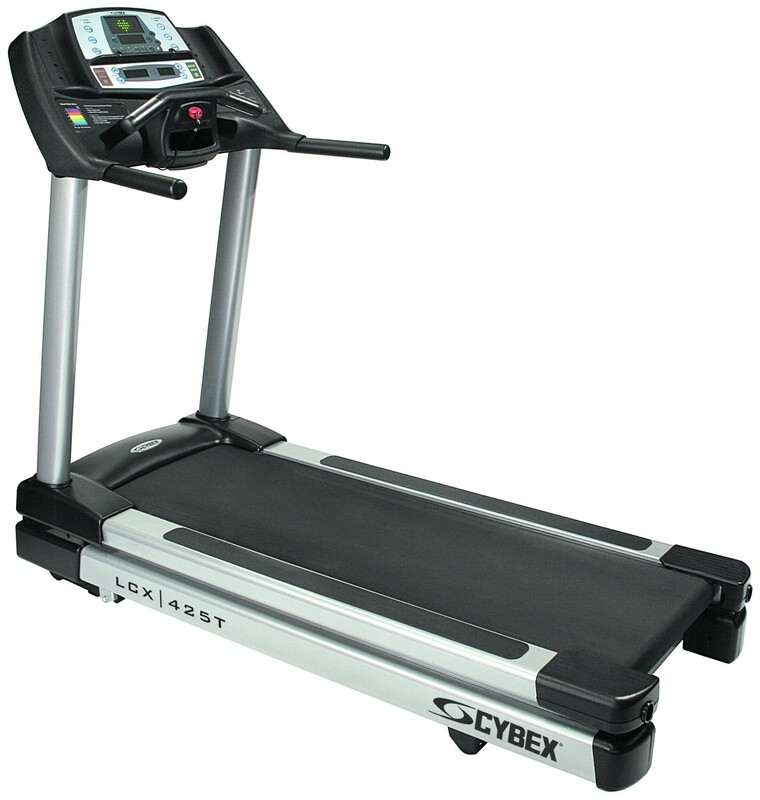 The CYBEX LCX-425T treadmill is a commercial-sized running surface in a space saving footprint. The combination of rugged rollers and a powerful motor gives a solid feel that is usually available only in the most expensive commerical models. Lots of convenience features make the LCX-425T the perfect choice for hotels and spas, as well as for exercise enthusiasts who want to have science that captures the art of running in their own home.